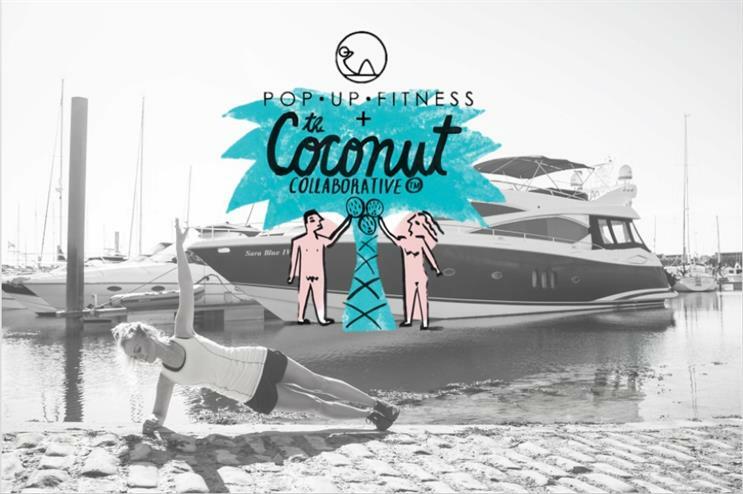 Coconut yoghurt brand Coconut Collaborative is hosting three workout sessions in partnership with Pop-Up Fitness. Taking place at retailer Whole Foods' store in Kensington, the three HIIT sessions will be led by personal trainer to the stars Olivia Cooney. Brunch will also be provided courtesy of The Coconut Collaborative and attendees will also recieve a goody bag to take away filled with Coconut Collaborative goodies and products from other like-minded brands. The workouts are taking place from the 25-27 November. The Coconut Collaborative was founded by James Averdieck, who previously launched dessert brand Gu. Innocent Coconut Water used the theme of ‘wild exercise’ for a campaign this year, launching its very own natural ‘gym’ concept, ie the great outdoors.